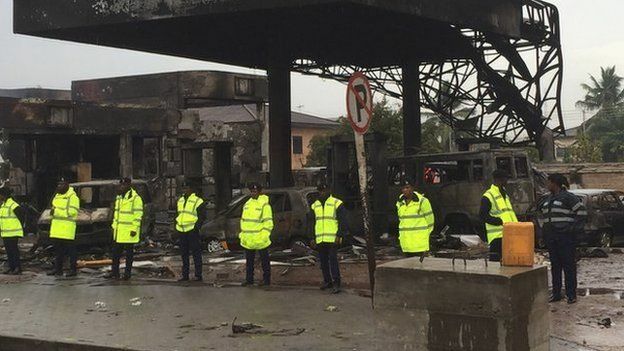 More than 90 people have died in a fire at a petrol station in Ghana's capital, Accra, the fire service says. 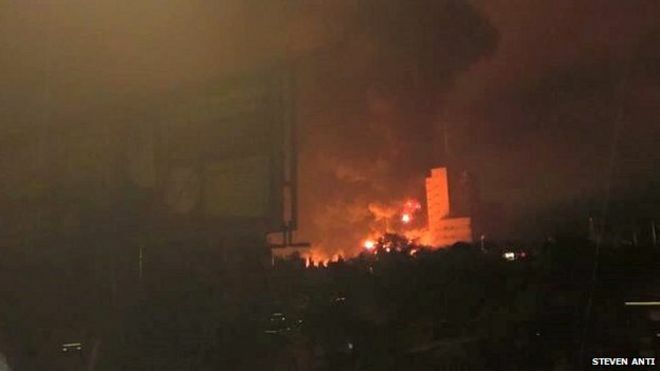 The fire started as people in the city are trying to cope with two days of heavy rain, which has left many homeless and without power. 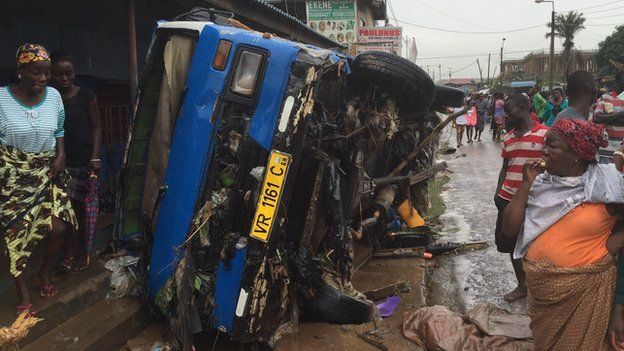 The flooding hampered the rescue efforts, the BBC's Sammy Darko reports from Accra. There are fears that the death toll could rise as the search for bodies continues. It is thought that people were in the petrol station sheltering from the downpour when the fire began, our correspondent says. 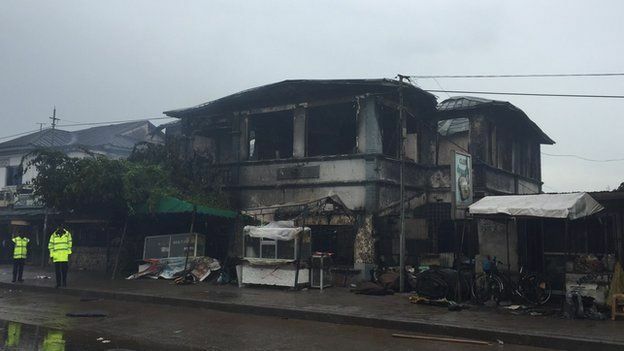 President John Mahama has visited the burnt-out petrol station and has appealed for calm as the authorities try to cope with the aftermath of the fire and the flooding. Two days of heavy rain has brought much of the city to its knees. There are chaotic scenes with cars being carried away by the water and many roads blocked off. Hundreds have been trapped in their offices and some have been forced to spend the night in their cars as traffic came to a standstill. 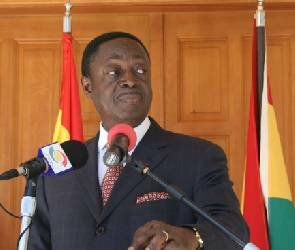 Parts of Accra have been left without power as electricity sub-stations have been damaged in the flooding, which is making the ongoing energy shortages even worse. Many homes have been inundated and people have been wandering around in their nightclothes after being forced to leave their beds. One man told a local radio station that he had put his children on top of a wardrobe to save them from the water coming into his house. Weather forecasters are saying that more rain is on its way.